December 2018 showed a drop of 3.3% for the Spanish automotive market but the performance of the different channels was mixed. While private registrations were down by 10.0% over December 2017, True Fleets scored a very positive + 6.1%; in contrast to France, Germany, Italy and the UK where the fleet channel of each country was in the red. 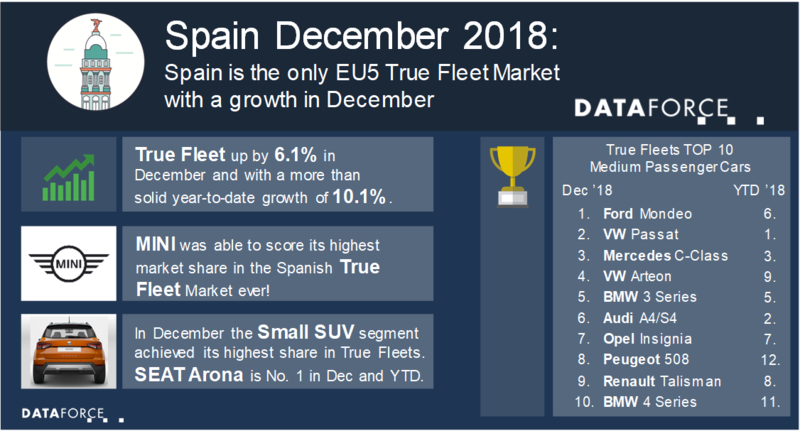 This result helped to secure a double-digit growth of + 10.1% for the Spanish Fleet Market for the full year 2018 and to achieve a new record-peak since Dataforce started the detailed recording of this channel from 2008! Despite the relatively poor December for the Private Market this customer group also achieved a positive year-to-date figure with + 3.8%. Registrations on Rental companies, Dealerships and Manufacturers were also up (+ 7.1% in December and + 10.6% YTD). With more than 1.38 million passenger car registrations the Spanish market achieved its highest volume since 2007. Within the top ten brands there was not even one which kept its position from last year’s December. With + 34.4% Volkswagen took the lead followed by BMW who had a remarkable December, gaining no less than four positions thanks to an impressive + 59.4% which resulted in BMW’s highest market share since February 2013. Spanish fleets seem to have a particularly strong appetite for BMW’s “X” model range. X1, X3 and X5 all more than doubled their volume, the X4 grew by “only” + 72.2% and the all-new X2 was already 4th within the internal brand ranking, leaving behind the 1 Series and 3 Series. Renault dropped from rank number one into third position ahead of SEAT, Peugeot, Ford and Mercedes. 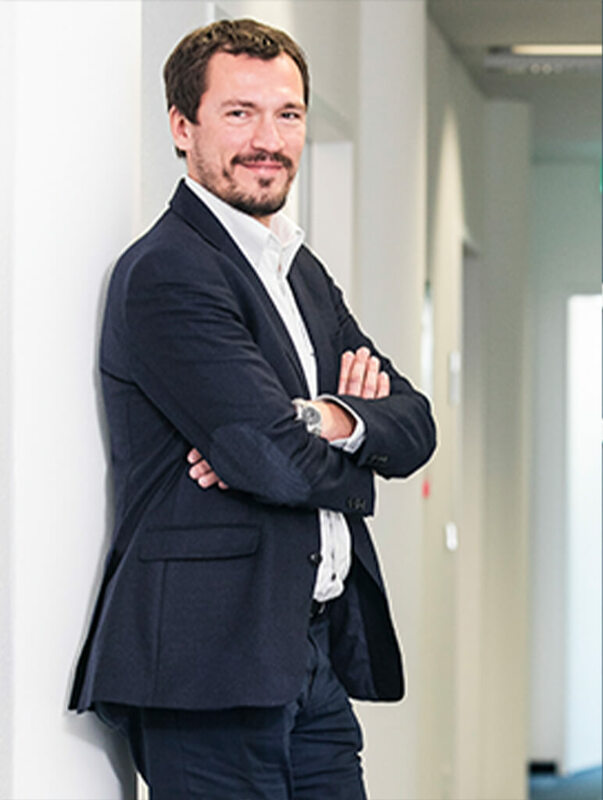 Citroën and Toyota managed to achieve exactly the same number of fleet registrations in December (1,227 units to be precise) and Audi completes the top 10. Outside of this list were two brands that deserve a mention as well. Thanks to an impressive + 31.5% Volvo ranked 12th and achieved a market share of 3.5% which is the Swedish manufacturer’s best in the past eleven years! And MINI (16th, + 24.6%) even achieved its best ever True Fleets market share in Spain.